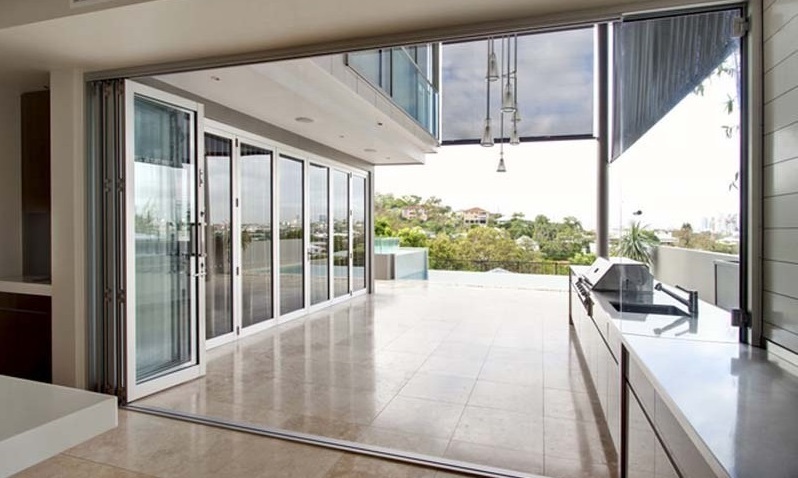 In Brisbane, access to the outdoors is a very important consideration and we always construct houses that seamlessly blend the indoors with the outdoors. 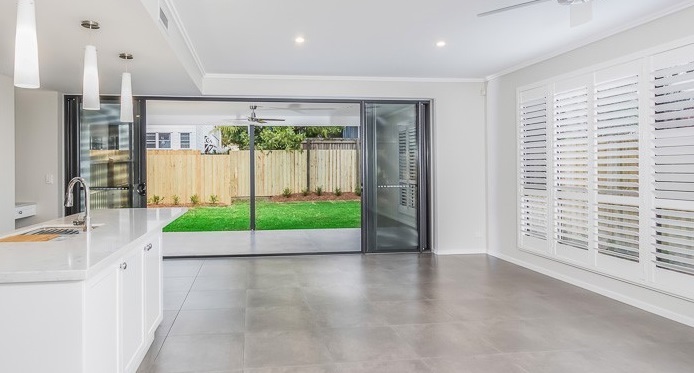 Bi-fold doors can very successfully do so but in our opinion they are best suited to larger areas because they take up a fair bit of space when they are folded open. We also feel they lose their effect if fly screen covers the opening. Our preference at Manasons is sliding doors. Perhaps it’s our personal hatred of flies and mosquitos or our reluctance to purchase chemical based products to kill these pests around the clock. Or maybe it’s our security conscious thinking that has us taking the ‘practical’ approach. We want it open but we want it safe and free from bugs at the same time. Our lifestyle means open windows most of the year and we don’t want this to result in everything (or everyone) outside being welcomed in. How many times have we heard of criminals sneaking into open doors without you knowing and stealing handbags, computers, keys to cars… or possibly worse. At Manasons, we prefer a balanced approach which identifies risks and benefits and caters to both. All our homes are fitted with premium quality security screens, so you will always be able to walk freely around your home with windows and doors open to allow for beautiful breezes and fresh air while safely protected from both bugs and uninvited guests.